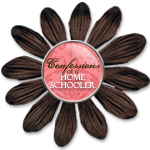 So there are 3 main things that are a challenge to most every homeschool family, curriculum, home keeping, and occupying younger brothers and sisters. I am starting a series of posts on these three things. Today I am tackling the ever complex topic of curriculum. To start I am going to just say, if you are a first time homeschooler and are asking around about what people use, do not have the expectation that someone will just give you a magic answer where you will be able to run out, buy it, and it will be your perfect ever curriculum, that’s what I was hoping for, it never happened. People would whip off names of like one hundred different curriculums and I was like, uhhh ok. I went to an informational meeting a homeschooling mom from our church organized, and I was so confident that I would walk out of there, with a better plan than I had. I was W-R-O-N-G… Wrong. All these women showed up with what seemed like thousands of these mega sized textbooks and filled up a huge dining table with them. It was very overwhelming, I felt very discouraged afterward. I looked through so many of those books, there were toooo many choices. I had no clue which would be best for us. I had been mostly making my own Pre-K lessons all along, I am artistic and creative by nature, so planning fun activities around a theme was always something that just came natural to me as a mom, and for the more technical things, I had a little help from www.hubbardscupboard.org ,which I highly recommend as a place to start for anyone thinking about homeschooling, and its FREE! I left there thinking, how in the WORLD am I supposed to take a big ol’ textbook and make a lesson from it?! (I didn’t reaIize that those big ol’ textbooks WERE the lesson plans) lol. Either way it was very intimidating. Like I said, I left there, neither confident, nor with ANY kind of a plan at all, in fact I was more panicked than anything, wondering if I could even do this at all. I continued to ask around, hoping someone would just tell me I HAD to use this one particular type of curriculum and that would be that. But I would ask and get like 200 different things they had tried, and what they were using now, and what they liked or didn’t like about each one and what they were switching to. Everyone always said, you just have to find what works for you….well what was that? We are on a budget, so I didn’t have the freedom to just be buying and trying out this curriculum and that, some of the ones people recommended where well out of our range to begin with and I was like, well if its that much money and it doesn’t work, then what? I just kept researching. I found some great sites I have them on the side panel of my blog. The first is www.letshomeschool.com it has a wide variety of very helpful information, teaching tips, curriculum reviews , state standards, ideas and more. The other is http://cathyduffyreviews.com Where the author of the book, 100 Top Picks, which is highly recommended for any homeschooling family, has detailed reviews of curriculum and more based on subject, and lots more information to help you find your way. Now, the reason I say that you will never get an answer that will solve all your problems with deciding on a curriculum, is that what you decide will absolutely depend on what will work for you and your family. So to conclude this post, I would encourage you to think about what kind of learning style your children have, what kind of organizational/planning person are you, do you do well at balancing many different tasks, or do you find it hard to do that, consider how much planning time you have available, Do you want to do a lot of the planning and prep yourself, or do you want something that just has everything done for you and you just have to organize it, and teach it, consider what YOUR strengths and weaknesses as a teacher are, and what your children’s strengths and weaknesses are. Write these down somewhere so that you have them, when you are reviewing the different choices of curriculum out there. In my next post, I will talk about my personal journey down this path, and where it has lead us, and what it is looking like moving forward.